Mobile application development has been widely used for branding and marketing. 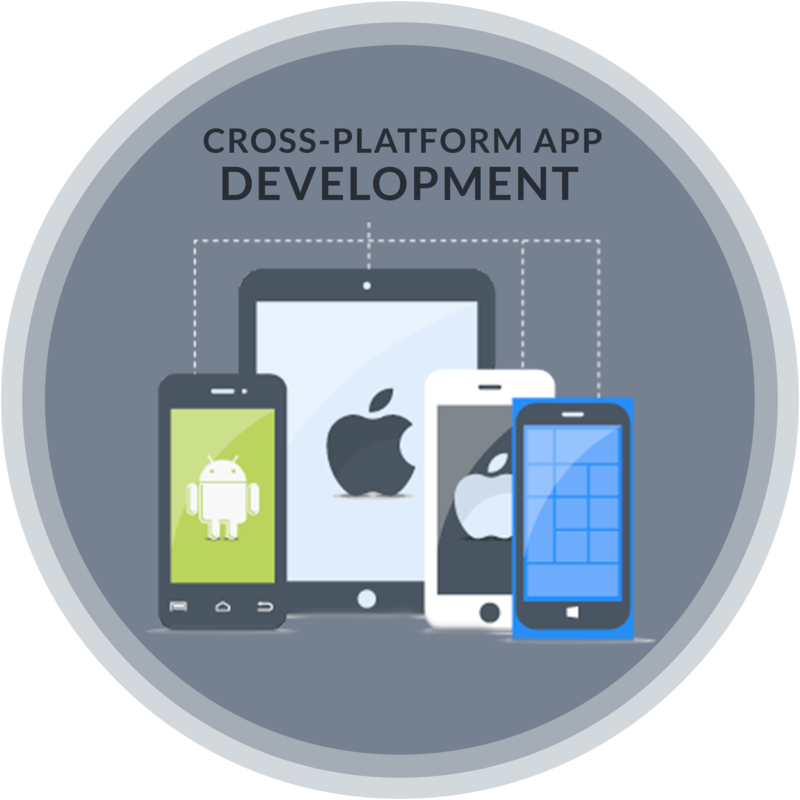 The cross platform app development market is expected to hit $ 7.5 million by 2018, and the amount of cross-platform development tools is on the rise. Cross platform app development provides great cost saving advantage by developing one application that runs on multiple platforms such as iPhone, Android, Blackberry, and others. It allows a single source development approach to deploying on various platforms with minimum changes. Cross-platform apps allow to achieve greater market penetration, it has other benefits such as lower time to market on all supported platforms. Potentially faster to develop a cross-platform mobile app rather than a native app for iOS and Android. The solution for multiple platforms with no additional cost to develop apps and long-term maintenance. Leverage one code base and customize for multiple platforms, instead of creating new code base for each platform. The App runs on multiple smartphone and tablets. Plugin that lets you create a native library and integrate it to the SDKs. Mobile App Strategy In Design And Development Of Apps. Customize, Install, Deploy And Implement Open Source Packages. Optimizing Existing IOS, Android, Windows Phone And Blackberry Apps To Other OS For Your Business. Boost Your Business To The Top Level And Make A Brand In The Market. We give your business a competitive edge with our top level cross platform mobile application development. We deliver strong functionality rich cross platform app development with a robust code. At SSTech System, our professional mobile app engineers develop apps that run effectively on every platform as per client’s requirement using cross-platform tools like Phone gap, Xamarin, Titanium, Appcelerator, Sencha, Tizen and other tools. We help a client to get an app developed in lesser cost and time frame.